Today is my birthday and what better day to spend in my craft room making cards. Today is also PTI's March Blog Hop and here is my card for the challenge (see the photo below). I used my new Petite Pots set and just started playing with layout and colors. It was fun! Thanks for stopping by and sharing my birthday. Such an absolutely sweet spring-time card! Love this. Such a sweet card. Love the combination of patterns with the little potted plants. Happy birthday! I have this stamp set waiting for a little ink - love your colors! Happy Birthday! Your card is beautiful, love these flowers! Such a sweet card! Happy Birthday to you! And what a perfect way to spend your special day! Enjoy! Happy belated birthday! I'm a day late but still enjoying seeing all the cards along the hop. Your card is so sweet! 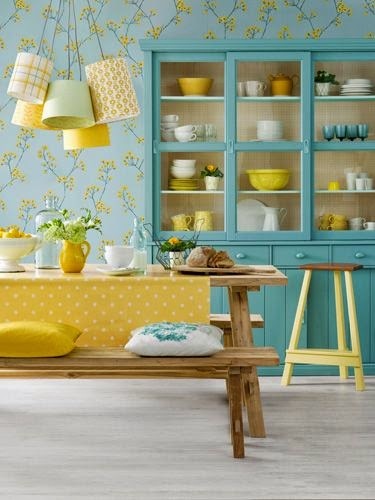 I just love that polka dotted paper in the perfect color for this challenge. Sweet, sweet card! 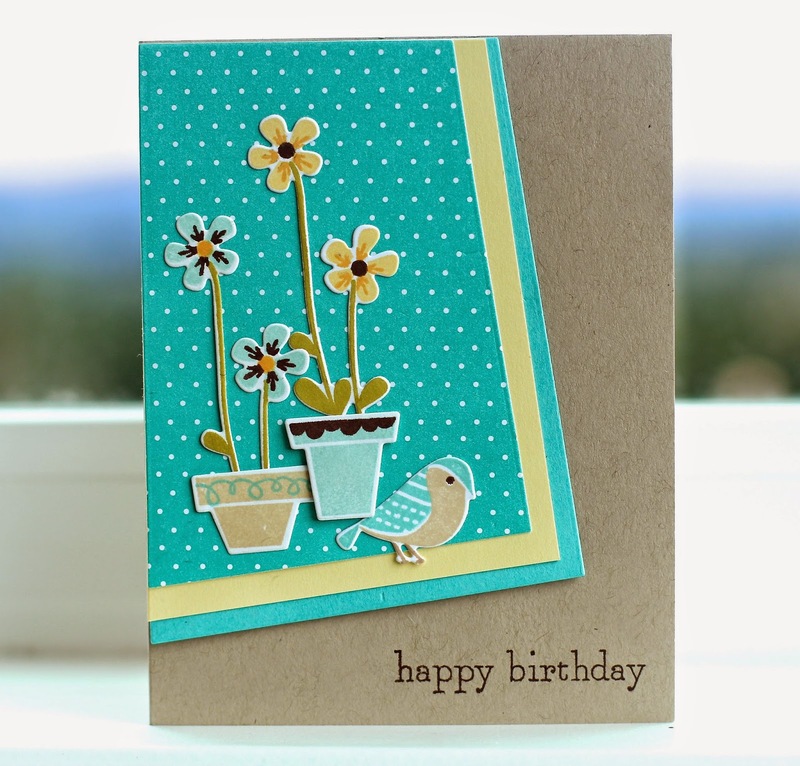 Cute card and what a fun layout! This is the sweetest card I've seen in awhile.